Going Solar is one of the best ways to go green. A solar home is a sustainable home, and solar panels can mean great savings for the homeowner over time. Not only do the panels reduce the amount of energy we buy from the power company, but often those with photovoltaic panels also get credits from the power company, due to their energy surplus. So what about those of us who want to take it even further? 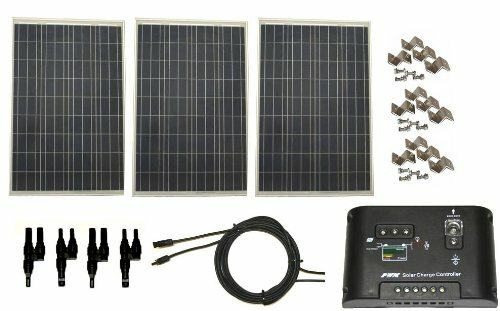 For those looking to cast off the net of the power companies completely, putting together an off-grid solar system is the way to go. While an off grid system is a serious investment of time and money, the feeling of freedom is incalculable. Once in place, off-grid systems are easy to maintain and reliable. With the adequate amount of panels, off-grid systems can power your entire home with no change in lifestyle. Surprisingly, the majority of the off-grid systems are in suburban or rural areas. Not only will you be powering your life with sustainable energy direct from the sun, you’ll never have to worry about power outages again! PHOTOVOLTAIC PANELS: Make sure you have enough. As a general rule, an off-grid system will need more panels than are export system. Do an energy audit of your home to find your energy load. BATTERY BANK: This will be holding a charge to keep your house running when the panels can’t. CHARGE CONTROLLER: Feeds the current to the battery bank and regulates charge. A Good charge controller will save you money by making your entire system more efficient. INVERTER: Changes the current from DC to AC so you don’t blow every appliance in your kitchen. DC LOAD CONTROLLER: This maintains the DC load voltages for the bigger equipment. AC LOAD CONTROLLER: Maintains voltages and fuses to the appliances connected to the system. Other optional devices to your system may include a separate AC Generator for backup, and a Transfer Switch to alternate the power between the generator and the main system. If this list of equipment hasn’t scared you off, then it might just be time to start building your own off-grid system. Before you go out and start getting battery packs however, make sure you know how much equipment you need. Conducting a home energy assessment is a great idea whether you are getting a system or not, but if you are, it’s essential. Take an inventory of all the things in the home that need electricity, making note of the biggest users (hint: it’s the water heater). Doing some basic math, multiply the wattage of each by the number of hours they are used each day. Once going, off-grid systems require little or no maintenance. The biggest issue the homeowner will face in maintenance is replacement batteries. Batteries can last up to 15 years, but they won’t hold optimum charge the whole time. Batteries begin at holding 90% of the total charge, and over time hold less. So make sure you check your batteries every year so to see how they are holding their charge.